Puchheim, Germany – March 19, 2019 – Leading OEM laser scan system manufacturer SCANLABGmbH is expanding its lineup of entry-level scan heads with the new basiCube 14. This compact-class scan system features excellent price/performance and a 14-mm aperture for high-precision marking using small spots. That makes it ideal in electronics labeling applications. 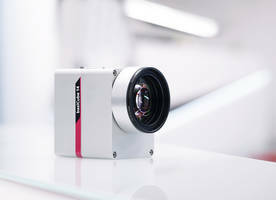 SCANLAB now extends its product portfolio via the ultra-compact basiCube 14 scan head, a price-effective variant that features a larger 14-mm aperture and mechanical compatibility with the well-established SCANcube series. This new model assures 600-cps writing speeds, additional productivity can be realized through its automated on-the-fly functionality. It will be manufactured in Germany under strict quality standards. LASER World of Photonics China 2019 from March 20 - 22, 2019, in Shanghai, China – Hall W2, Booth 2214. LASER World of Photonics 2019 from June 24 – 27, 2019, in Munich, Germany – Hall A2, Booth 225. With over 35,000 systems produced annually, SCANLAB GmbH is the world-leading and independent OEM manufacturer of scan solutions for deflecting and positioning laser beams in three dimensions. Its exceptionally fast and precise high-performance galvanometer scanners, scan heads and scan systems find application in industrial materials processing and the electronics, food and beverage industries, as well as biotech and medical technology. Storage Facility Sprinkler features K factor of 22.4 (320).